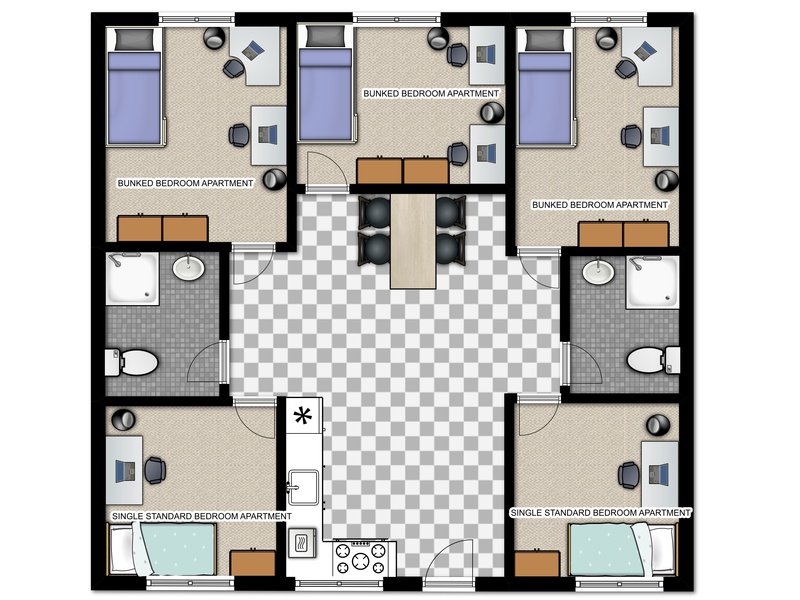 Free weekly bedroom cleaning Uncapped wireless internet throughout the res! 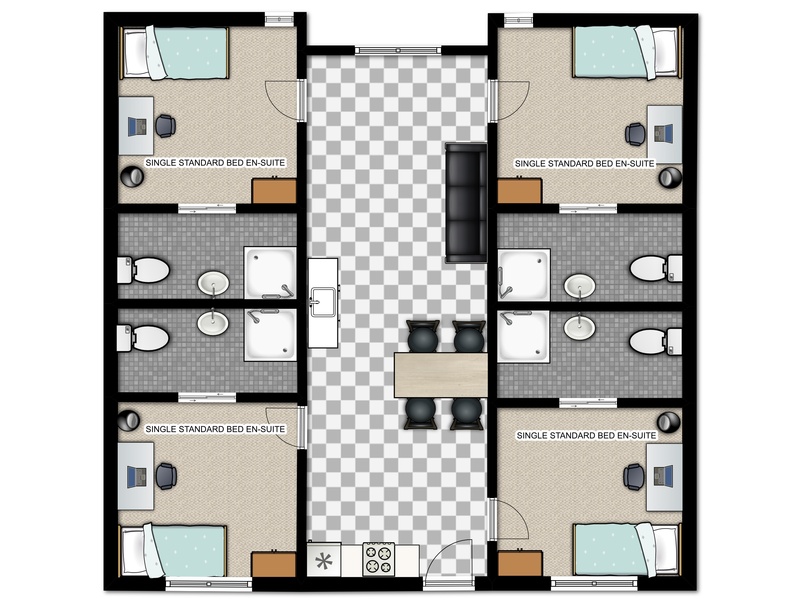 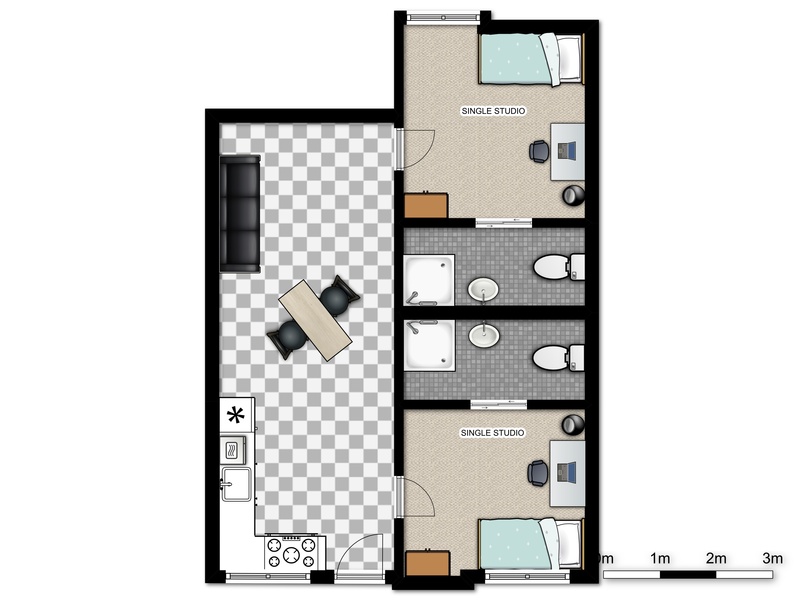 Eastwood Village offers a 8-sharing apartments in a combination of single and bunked rooms. 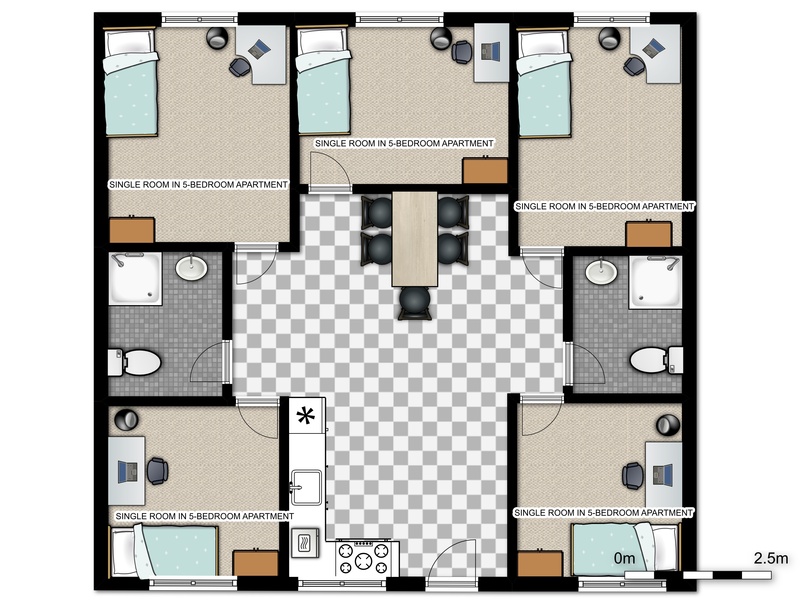 Each apartment has 2 bathrooms and an equipped kitchenette / communal living area.